Historically, England has been a special place for Windies in major tournaments. The Windies were crowned World Champions in the inaugural two editions of the World Cups i.e. in the years 1975 and 1979 held in England. They could have completed a hat-trick of wins in England in the third edition of the World Cup in the year 1983 if it was not for Kapil Dev's men to stop their winning streak. The Windies thereafter have failed to reach the finals of the World Cup in its next 8 editions. They, however, did manage to win the Champions Trophy in the year 2004 in England. The Windies are the current World Champions in the T20 format and the only team in the history of cricket to win the T20 World Cup twice. However, in the recent past, they have struggled in the 50 over format. The mighty Windies are ranked 9th in ODI cricket at present as per the ICC rankings. The fact that they had to play the qualifiers in the year 2018 in Zimbabwe to qualify for the World Cup shows their decline. 2019 has started on a positive note for Windies cricket. After beating a strong English Test team by a margin of 2-1 in the 3 match Test series, the Windies have played impressively in the ongoing ODI series and after the conclusion of the first two matches, the scoreline is even at 1-1. 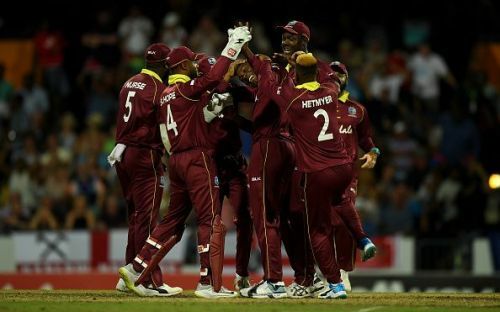 Though Windies have struggled in ODI cricket in the recent past, here is a look as to why they should not be taken lightly by other teams in the 2019 World Cup. The pacers from the Caribbean islands have always been one of the reasons why the Windies dominated world cricket in the 1980s. Though the pacers at present are not in the league as the pacers in the 1980s, the Windies have a pool of 7 to 8 pace bowlers who can bowl quick and surprise the batsmen. Gabriel and Roach, who played a crucial role in the Test series win against England, are expected to spearhead the Windies pace attack in the upcoming World Cup. Roach is the most experienced pacer of the current West Indies attack having played ODI cricket for almost 11 years since debut. Roach has featured in 80 ODIs till date and has picked up 114 wickets at an average of 29.07. Both Roach and Gabriel have been a part of the current West Indies ODI outfit playing against England with Gabriel serving his suspension and Roach nursing an injury. In the absence of the duo, the likes of Holder, Thomas and Cottrell have been equally impressive. The ever consistent Holder has played 86 ODIs and picked up 117 wickets at an average of around 32. Thomas is an exciting young prospect who has raw pace and with a height of 6 feet 6 inch, he can be a match-winner on his day. 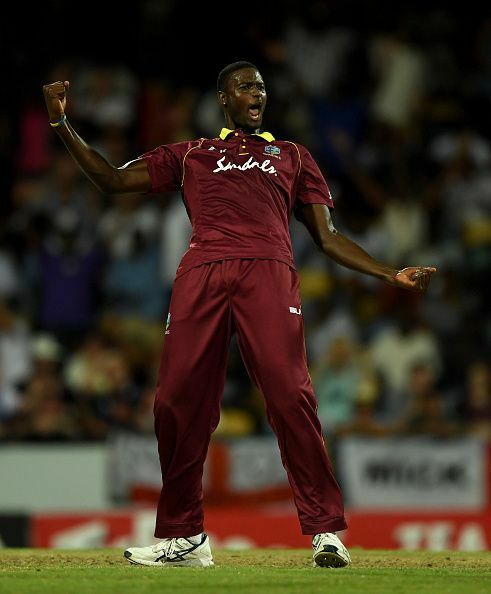 The 22-year-old pacer could be the trump card for Windies for the World Cup as not many teams have faced him in international cricket. Sheldon Cottrell bowled Windies to a win over England in the ongoing 2nd ODI against England by picking up 5 wickets. The fact that Cotrell is a left-handed bowler adds the much-needed variety and balance to the Windies squad. Windies are blessed to have an abundant reservoir of pace bowlers to choose from for the 2019 World Cup, The likes of Alzarri Joseph, Carlos Brathwaite, and Keemo Paul too have been impressive in the limited opportunities they have played for the West Indies.